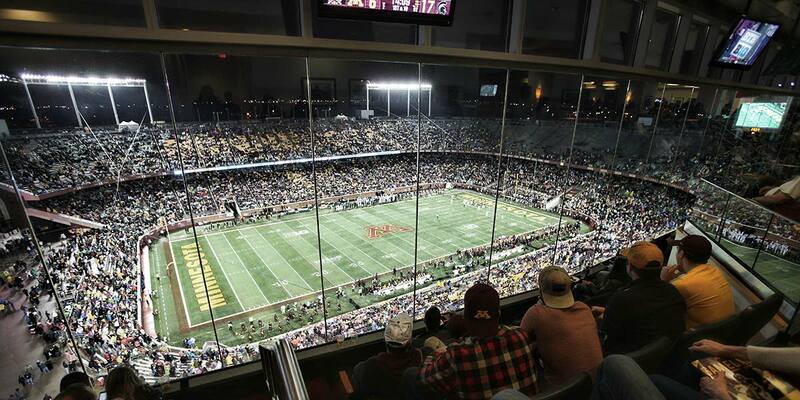 Beautiful TCF Bank Stadium was the first new football stadium opened on a Big Ten campus since 1960 when it threw open its gates to Gopher fans in 2009. 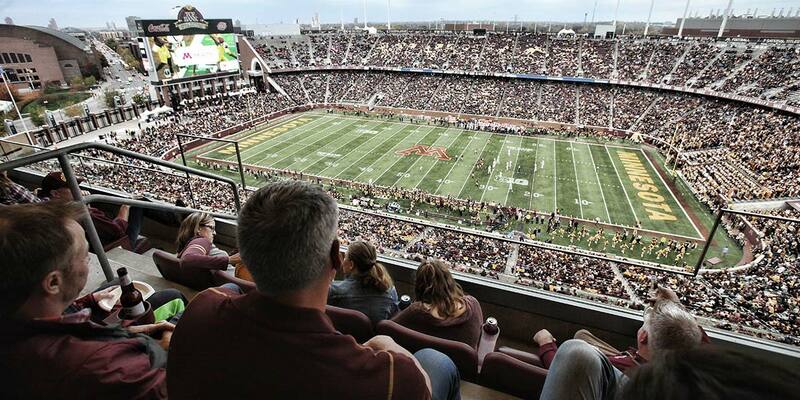 Being nearly a half-century younger than any other in the conference, TCF Bank Stadium was built with the needs of today's fans in mind, including some of the country's best premium seating areas for fans to enjoy football games and special events in unparalleled style. 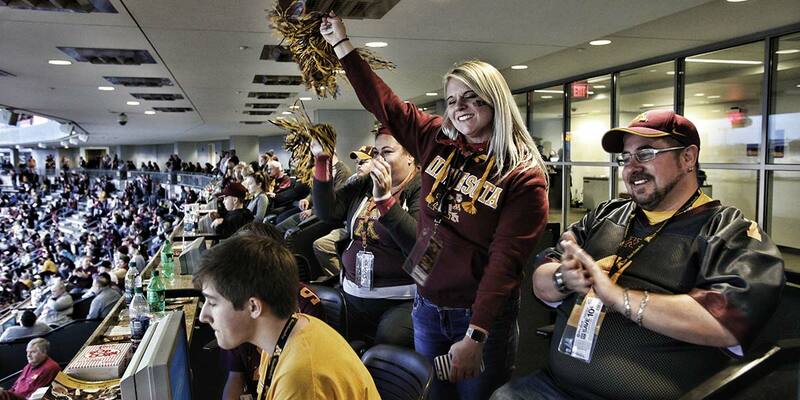 The DQ Club provides fans with one of our best in-game experiences, affording them the luxury of a large clubroom area for pre, during, and post-game activity while still enabling them to enjoy the pageantry of college football while sitting outside. 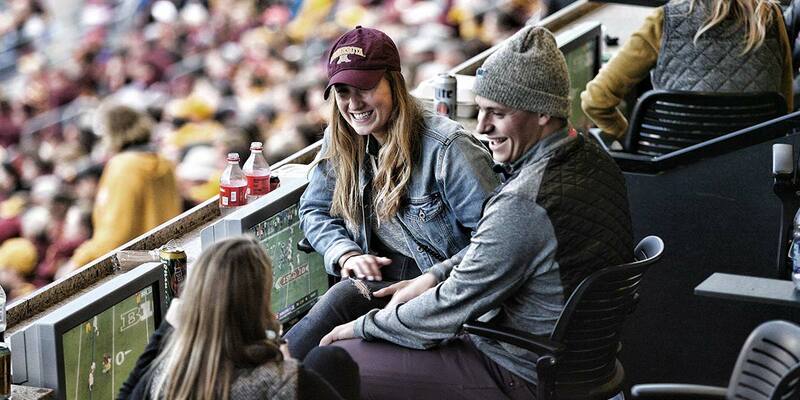 These seats offer some of the best sight lines in TCF Bank Stadium (outside) while still providing the high-end premium amenities that fans in the Twin Cities have come to expect and love (inside). 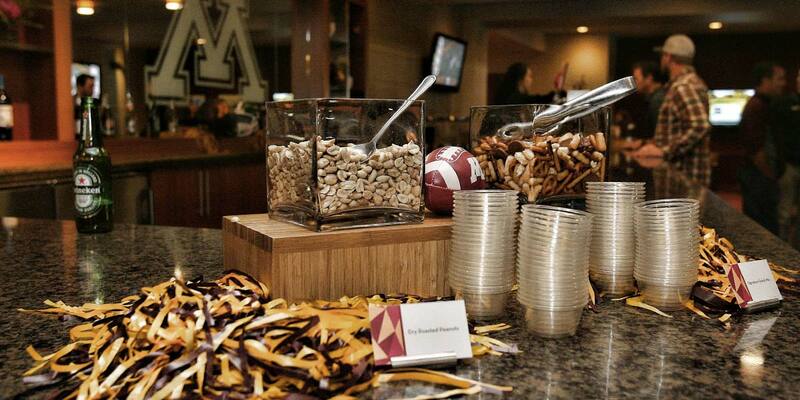 Enjoy complimentary non-alcoholic beverages and DQ Treats, while being offered a high-end food and beverage experience. 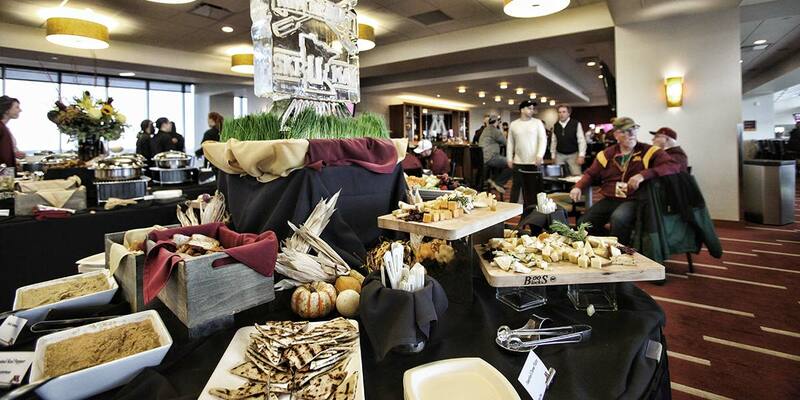 The Indoor Club is among fans' favorite experiences at TCF Bank Stadium. 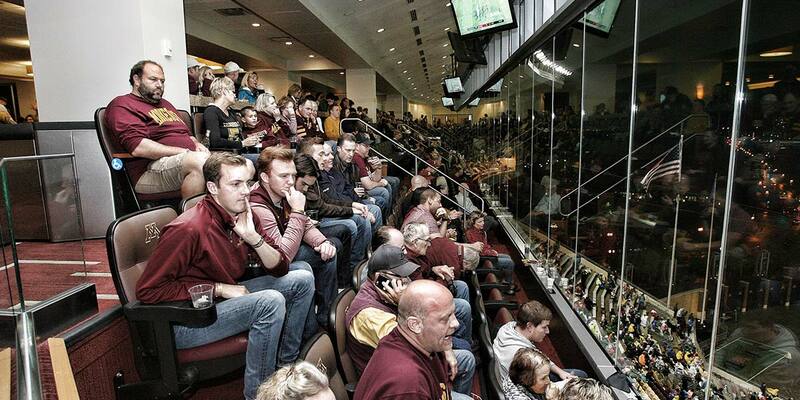 The indoor seating provides shelter from the weather while the floor to ceiling glass still gives fans the warm, inviting feeling as though they're outside with 50,000 of their closest friends. 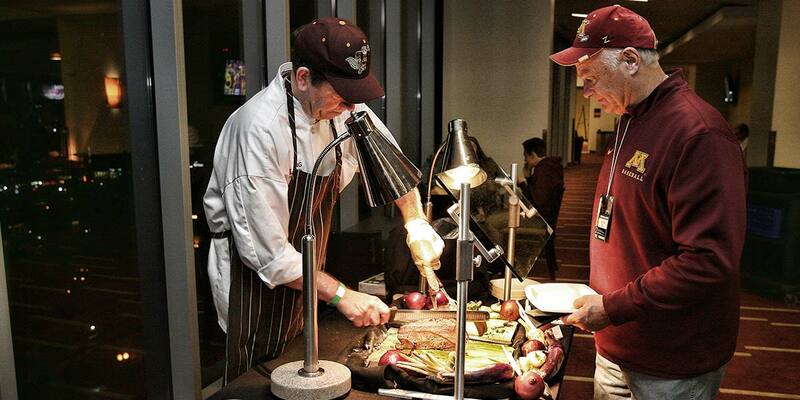 Seats in this area have access to an incredible all-inclusive food buffet and complimentary beverages including beer and wine. 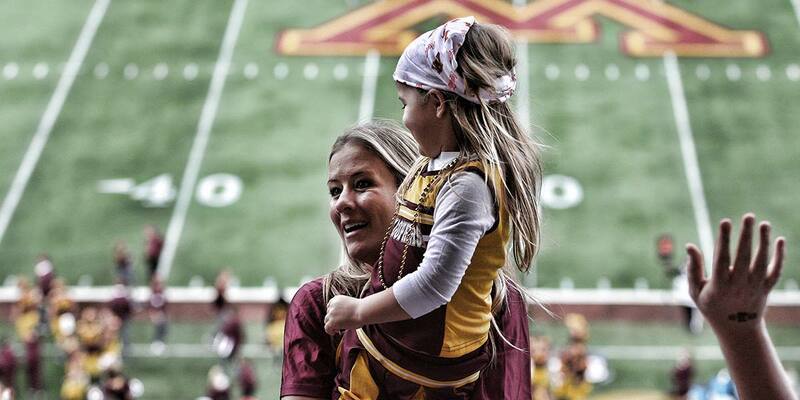 $2,500 Ticket ($1,680 Scholarship Seating Contribution + $820 Tickets and Amenities) One (1) Complimentary Premium Parking Pass with every two season tickets purchased. 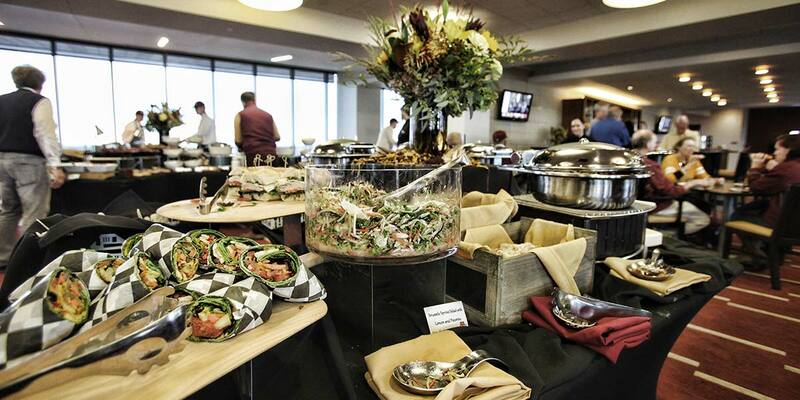 Note: Brief Description, Pictures, Video Content (already populated), a seating map, and pricing information, along with Ben's contact information for questions. 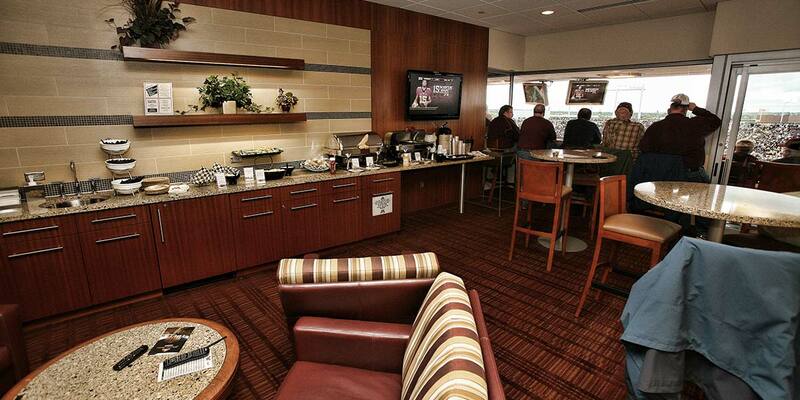 Suites at TCF Bank Stadium are some of the most unique in all of college athletics. 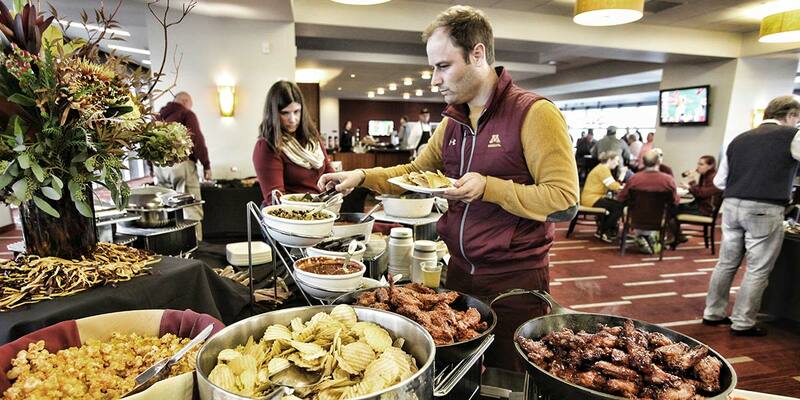 Each suite features a spacious, indoor gathering area, food banquet area, TV, granite countertops, and outdoor seating with radiant heating for those late-season games. 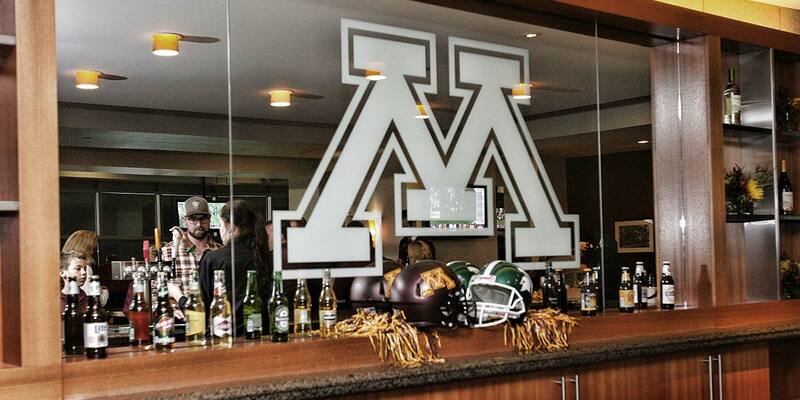 Our suites give Gopher fans the best of both worlds - they can sit outside and feel intimately connected to the game day atmosphere, while having the luxury and privacy of their own indoor, gathering area. 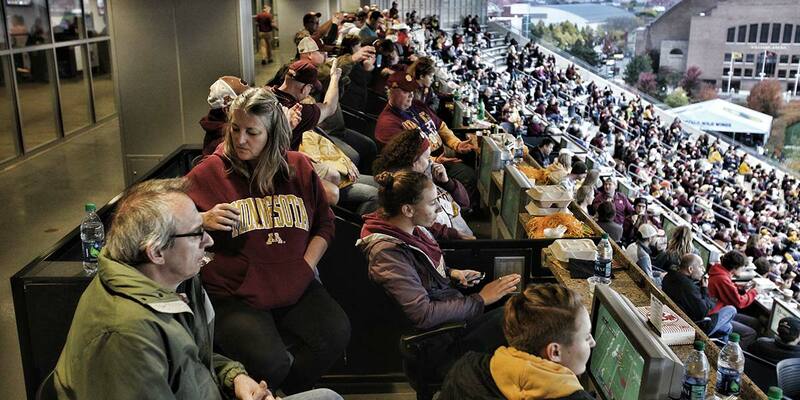 Golden Gopher Athletics was among the first athletics departments in the country to introduce loge seating to our college football experience. 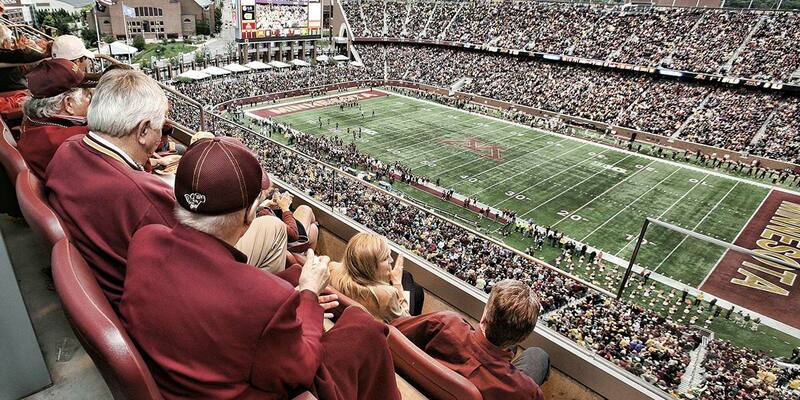 These outdoor "mini-suites" give fans the ability to enjoy college football outside, but away from the elements (protected by the overhang of the upper deck) and warmed by radiant heating. 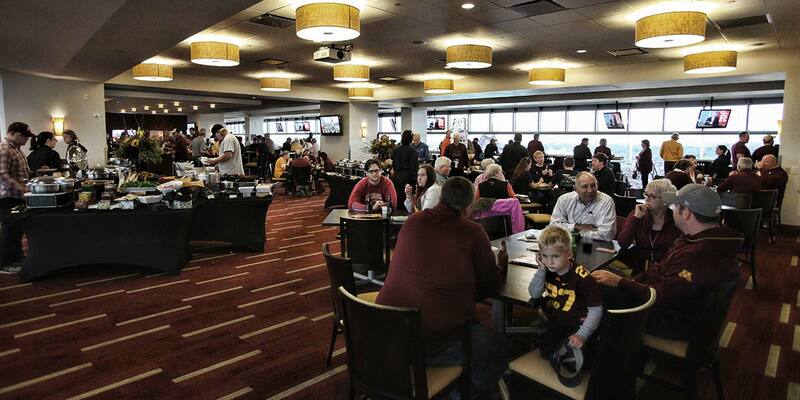 Loge seating provides fans with their own private space to entertain and spend time with family and friends while still remaining in the middle of the action. 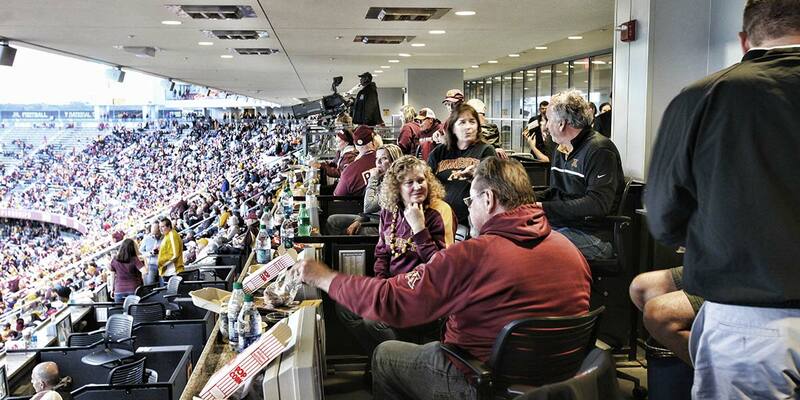 Loge boxes are our most in-demand experience and are among the best values in live sports across the greater Twin Cities area. 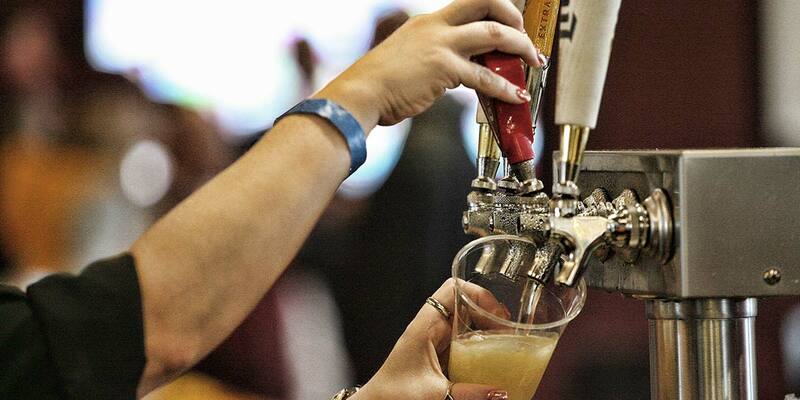 Every loge ticket holder receives complimentary food and beverage service (including beer and wine) from an in-seat server.